Dr. Linda M. Johnston is the Executive Director of the Siegel Institute for Leadership, Ethics, and Character and a Professor at Kennesaw State University in Atlanta, Georgia. Her research interests include sports-related violence, ethics, bullying, racial and ethnic conflict, health-related conflict, narrative and discourse theory, and world view theory. She is a trained mediator, negotiator, ombuds, and facilitator. She works both domestically and internationally. She has received grants from the Southern Poverty Law Center and the National Endowment for the Arts. She had a Fellowship to begin a dialogue between Egyptians and Americans. 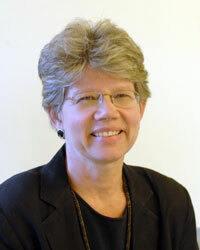 She has also done work in Ukraine, Republic of Georgia, Barbados, Nigeria, Egypt, Ecuador, Zambia, and in the U.S. Dr. Johnston is the President of the International Peace Research Association Foundation, serves on the Peace Research Grants Committee, and administers the Senesh Fellowship Program. She served on the Board of Hands Along the Nile. She currently serves on the Nobel Peace Prize committee for the American Friends Service Committee, teaches at the UN School of Peace in Costa Rica, as well as the Dag Hammarskjöld Institute for Peace and Conflict Studies in Zambia.